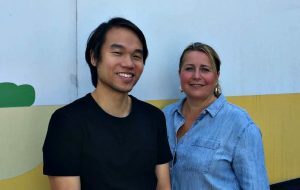 Prodo Digital has appointed Edmond Yau as its new head of development. Yau joins a 60-strong team at the Chester and London-based digital marketing agency, which works with clients including RBS, Lancashire County Cricket Club and The Aspinall Trust. He will be leading a technical team of 25 people, including developers, designers, testers and project managers, from the company’s rural campus in Chester. Yau joins from Smart Fleet Solutions, where he led a team developing automotive logistics systems. He said: “Prodo is clearly a happening and fast-growing agency with lots of opportunities and an impressive client list.